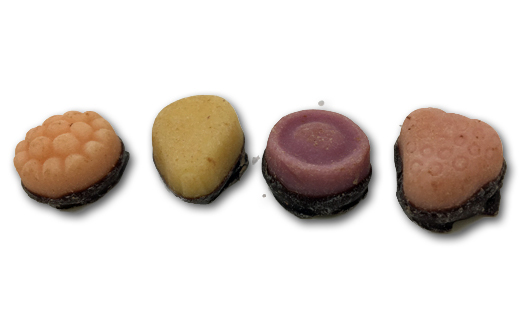 Chocolate Yogurt gummies. That’s a new one in my book, and at first, I wasn’t sure how to feel about it. What I thought was in the bag was very different than reality proved. 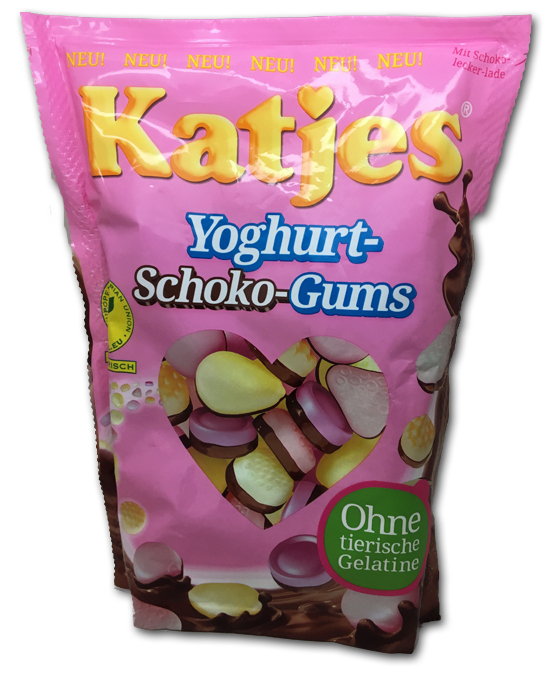 I assumed we’d have that milky Euro yogurt gummy type thing, with added flavors of chocolate. It didn’t sound particularly good, as I’m not a huge fan of yogurt gums, and adding chocolate didn’t sweeten the pot any for me. But I was so completely wrong, and I knew it as soon as I looked in the bag. I mistakenly thought there were only 4 flavors in the bag, but I was wrong-there’s 6: strawberry, lemon, pear, cherry, blueberry & raspberry. And they’re not gummies-at all. In fact, they’re much closer to a very soft fruit jelly (yay!). Eating one goes like this: an effortless bite right through it, with no pull or resistance at all from the “gum”. Then you have a marriage of really nice chocolate and a tart accurate fruit flavor, with a soft, pleasant jam-like consistency. Very luxurious, and very delicious. So much so in fact, that I was floored. Every single person I shared them with at work liked them, and they’re starting to become a critical crowd, so that was impressive. 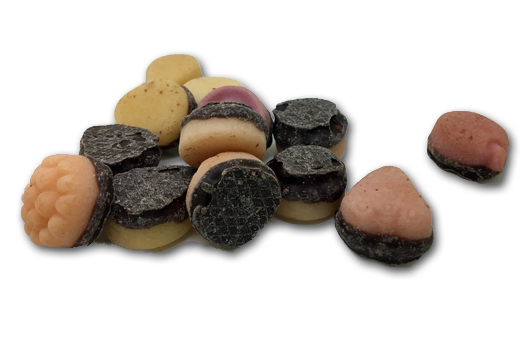 It’s not often we come across new takes on candy here, so it’s certainly welcome-frankly, innovation is always welcome, even if the candy stinks. These are a tough find, we got ya covered with the link below. Fruit jellies with Chocolate? Sounds like my nemesis.